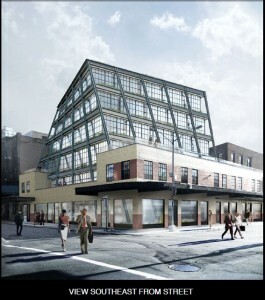 Problem: Taconic Partners, a leading NYC real estate firm, submitted a certificate of appropriateness application to the NYC Landmarks Preservation Commission to enlarge its building in the Gansevoort Market Historic District. The existing two story structure is considered a “contributing” building to the character of the historic district due its “moderne style.” Taconic’s plan designed by Morris Adjmi called for adding four stories and the preservation through renovation of the original two-story former meat packing building. The new floors feature office space for businesses in the creative services above the new retail base. Strategy: Capalino+Company guided the project team to develop a strong contextual argument that the design of the proposed four story addition was appropriate to the meat packing historic district and secured broad community support for the application for a certificate of appropriateness. Result: Capalino+Company managed the outreach to adjacent owners and community leaders who voiced strong support for the project. Moreover, our firm worked closely with the Landmarks Preservation Commission staff and the project’s architectural team to shape the design solution that responded to the concerns of members of the Landmarks Preservation Commission. 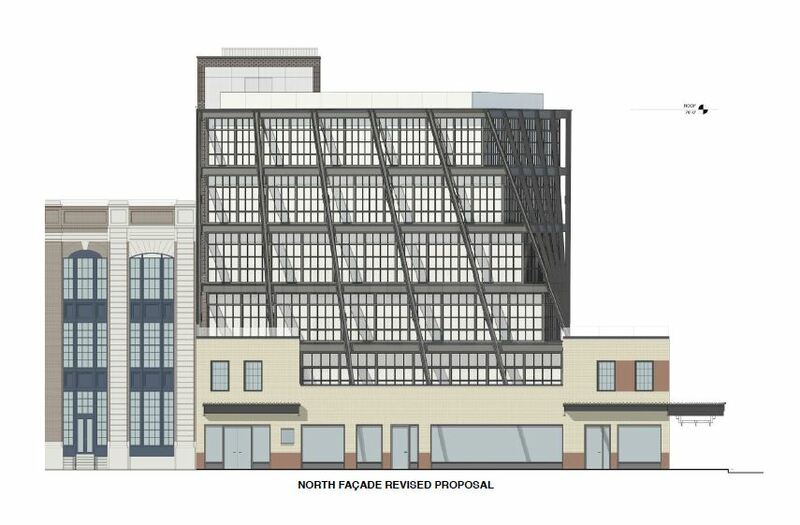 In its resolution approving the Certificate of Appropriateness, the Landmarks’ Commissioners commended a truly unique four story addition that only slightly varied from the original proposal.